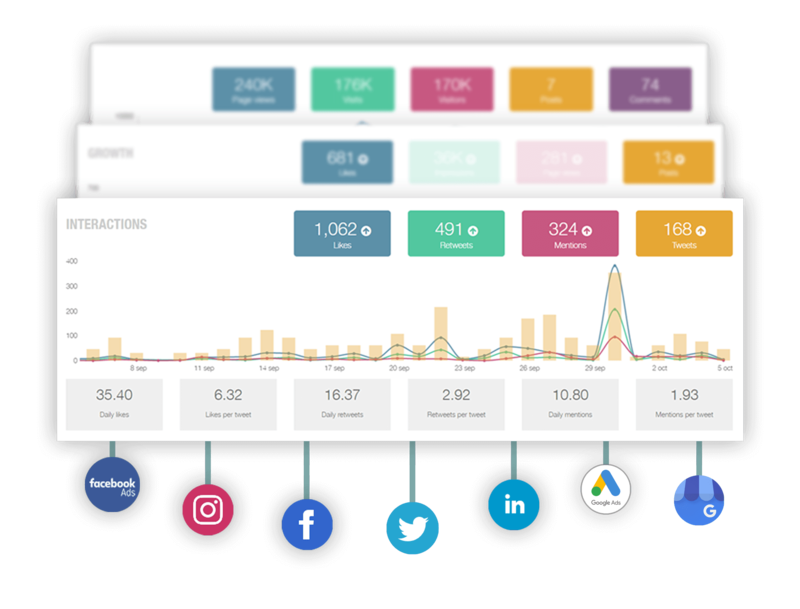 The ultimate tool to analyze, manage and measure your social media activity. A new and more efficient tool to achieve your marketing goals. Analyze your social media platforms and online ad campaigns. 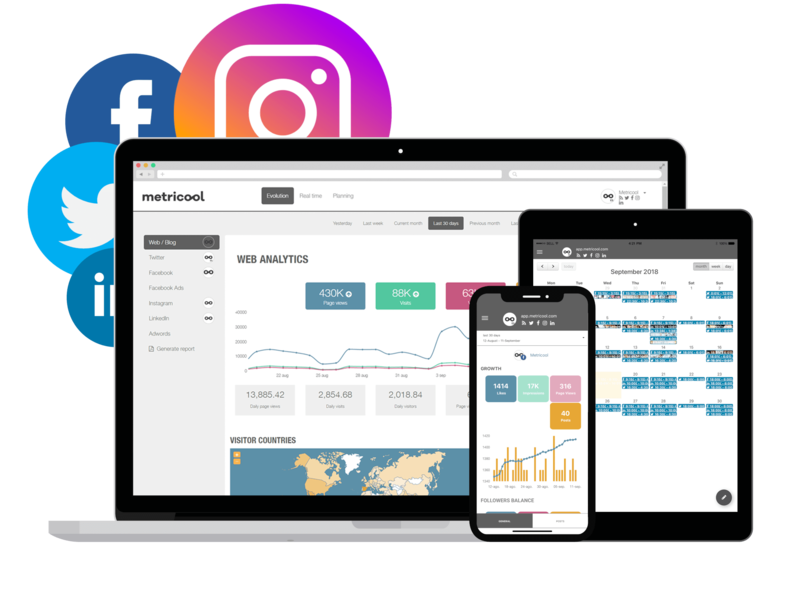 All the metrics for your website, blogs, social networks and online ads in one place. Easily analyze the performance of your actions and those of your competitors. Improve your digital strategy. Analyze your social media competitors. Obtain all your competitors’ metrics to understand and compare strategies on all social networks. 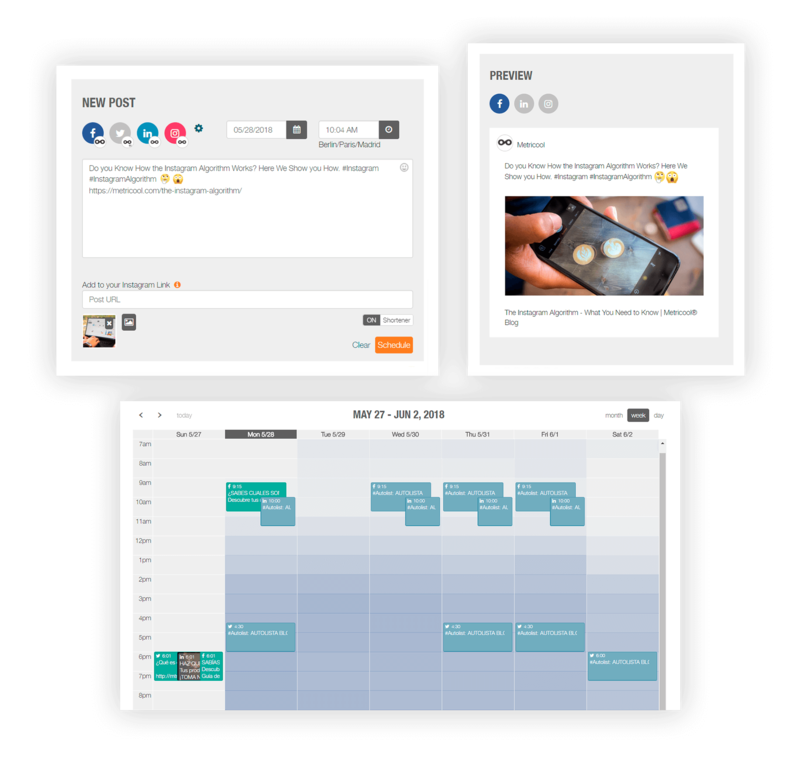 Easily schedule your social networks and posts. Program your publications using our calendar. Organize and optimize your content strategy according to the best time to publish based on your own audience. From your computer or Metricool’s mobile app. 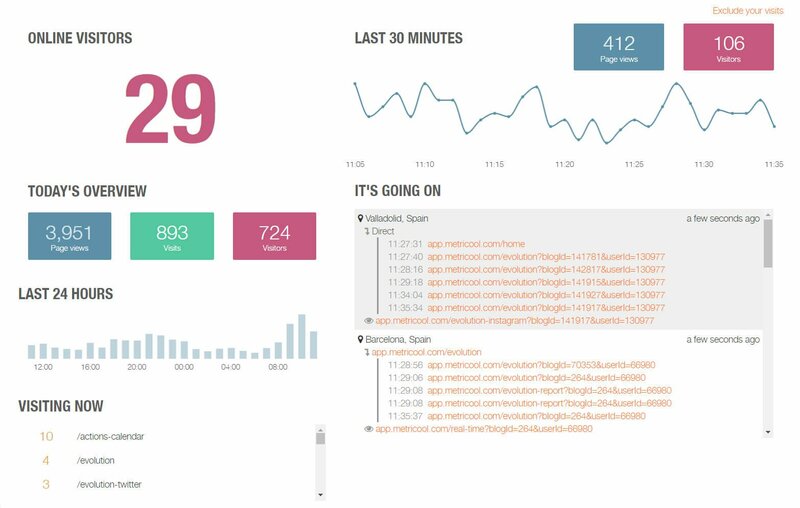 Automated custom reports in seconds. Reports with a professional design for you, your team or clients. 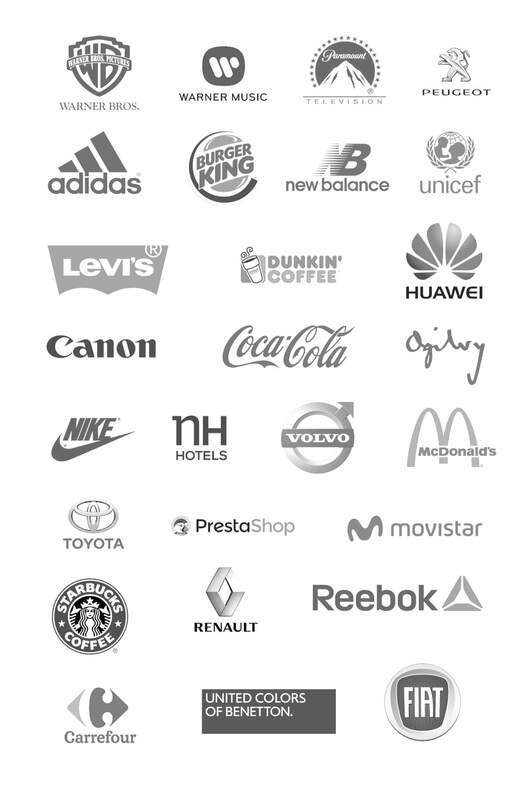 Choose what metrics to include, the date range, language and even add your own logo. No download limits! Manage your community and events in real time. Learn how your audience interacts with your website or blog in real time. Measure the impact and reach of any hashtag on Twitter for events or campaigns. Analyze your competition and manage your community.